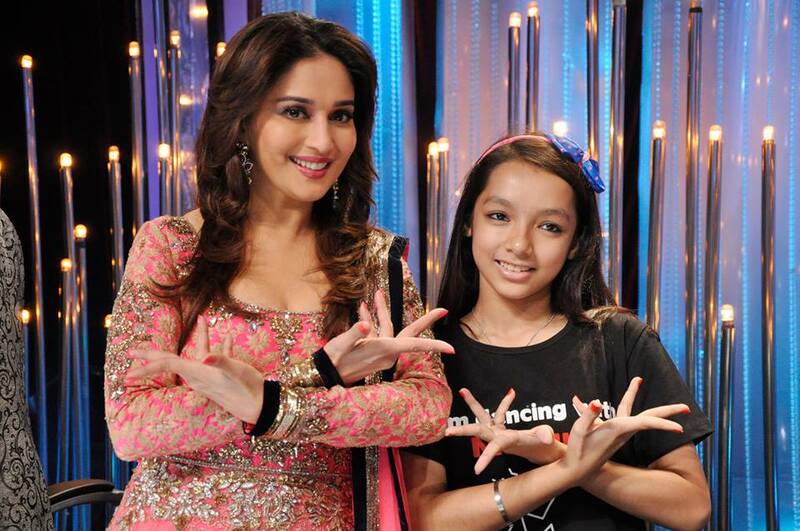 Do you watch Jhalak Dikhhla Jaa? I generally don’t, but this is one of the many side-effects of being hitched (and I’m learning, there are many!) Post-wedding, the breadth of TV shows and channels that are permissible on your Favourites button (if you have Tata Sky) will suddenly increase. Let’s begin with the finale. A Manish Malhotra floor-length anarkali in that gorgeous shade of pink! Where to wear? PERFECT for your Sangeet or Reception, and even for your Engagement if you like to go heavy on small functions. And her fresh-as-a-daisy makeup goes perfectly with the heavy outfit. I can’t help but think of the American flag when I see the colours – red, blue and white – together. I usually avoid outfits in this colour combination (yes, I avoid pairing green, orange and white as well lest I look like the Tiranga!) but sometimes, SOMETIMES, someone makes an Indian ensemble so pretty that I still love it despite the patriotic colours. This Vikram Phadnis lehenga is one of those, and I want that blouse so bad! Where to wear? You could wear this to your engagement, or to your friend’s wedding. One of the many Arpita Mehta creations that Madhuri wore on Jhalak, this one would make for a really nice trousseau sari (IF your parents are ok with you wearing black in the first year post your wedding *yawn*). FYI, I need to get my hands on one of these mirror-work blouses by Arpita Mehta! Where to wear? To dinner parties, and even pre-wedding cocktail parties. Notice how it’s perfectly acceptable to leave your neck bare if your blouse already has so many colours, patterns and – in this case – mirros going for it! Don’t believe me? Ok, look like a christmas tree just because you’re newly married. Wait, wait…who am I kidding? Please don’t! You don’t have to wear something on your neck, yaar. I know there’s pressure to look like a nayi dulhan, but wouldn’t you much rather look like a stylish newly wed? Just sayin’. This Nikasha sari is a riot of colours! It’s not a half-and-half sari, it’s a quarter-quarter-quarter & quarter sari! :p The pink pallu turns yellow at the pleats, wraps around once in orange and then ends in patterned pink and orange pleats. I don’t know about the half-and-half saris, or in this case – quarter-quarter…, but I do know that saris in bright colours with a medium size golden border are the rage. Where to wear? You should definitely get one or two of these to wear to your friend’s wedding, or even to a formal party. The gajra is optional. This stunning black net sari (by our favourite designers at JADE!) gets some added oomph with the heavy red blouse. Where to wear? Another pick for your trousseau (dinner parties, relative’s engagement, etc), or even a Mother of the Bride/Groom sari (for a smaller night function). Where to wear? You can wear this to your close friend/relative’s wedding, and come to think of it – this would look so great on the Sister of the Bride/Groom! Loving those chunky gold bracelets. Are they AZVA designs? Me wants a pair! This one’s also a Peppermint Diva sari (anyone know if they retail online?). I love turquoise blue, and if you put a blouse in that colour and pair it with a pretty orange, I’m falling in love. Where to wear? A sari for your trousseau, to wear to a friend’s wedding, for Mother of the Bride/Groom – this one’s seriously multi-functional! Your mom could even borrow it from you after your wedding. As could your MIL. Your sister. Your SIL…you catch the drift. Everyone will love this one. Ok, I promise this is the last one that your mom could also wear. It’s sophisticated and graceful, but if you’re getting something similar made please avoid that net panel right underneath the puffed sleeve. Where to wear? Good for dinner parties, and for Mother of the Bride/Groom to wear on your Engagement or Reception. This Atsu sari will add a unique color palette to your trousseau. The pale yellow and black work so well together, add a pop of pink nail paint and you’ve made it just the right amount of feminine. Where to wear? Great for your trousseau – to wear to semi-formal or casual outings post-wedding, such as a puja or to your friend’s Haldi/Mehendi ceremony (if it’s during day-time). Bright pink and parrot green reminds me of – a parrot! This is another combination I generally avoid because it’s too loud, but Madhuri ji seems to carry it out really well. It’s an Arpita Mehta creation, and the floral blouse provides an added dimension to the outfit. Check out those massive gold jhumkis! They look GORGEOUS! Every bride must own a pair of these. Here’s a pair of antique silver (correct me if I’m wrong?) earrings that I’m totally crazy about! I couldn’t stop staring at them during the show, and I MUST get myself a pair. While her outfit was so-so (maybe I would’ve liked the Shehla Khan sari a lot more if it has been paired with a better blouse), the accessories were spot on. And it made me realise – you don’t need to wear gold or platinum or diamonds or kundan always. Inexpensive metals will sometimes look WAY better with your Indian wear, so don’t shy away from wearing them even after your wedding! As if this wasn’t enough trousseau inspiration, Colors TV also has some great Indian wear candy for those of you who watch Comedy Nights with Kapil (he’s a laugh riot, isn’t he?!) Keep an eye on what his wife (in reel life) wears and how she’s styled. Can’t find pictures of her outfits online, but I really like what she’s been wearing so you should have a look! 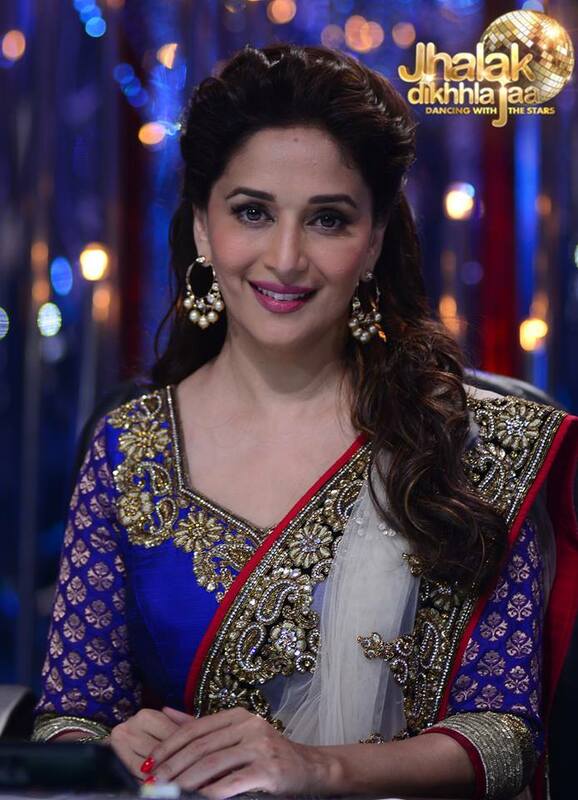 Which Madhuri outfit would you love to have in your wardrobe? Very elegant and pretty ❤ Great post.. 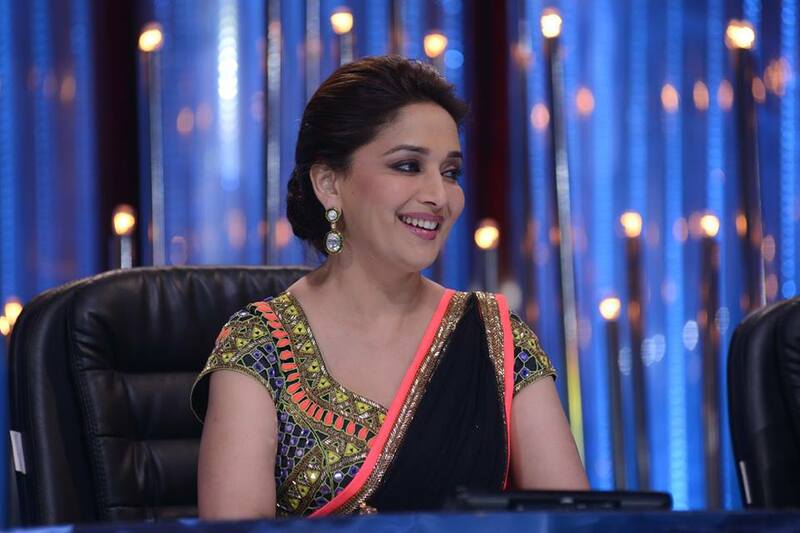 I have noticed one thing, Madhuri isnt a big fan of wearing anything in the neck. She likes to keep it bare. But yes great post and collection.. Thank you! There was another one I liked- the black(I love black too) and gold lace one.. I found it really elegant n appropriate for most occasions.. Yes, that one is also quite nice! I did notice that in almost every picture her neck is bare. Maybe it’s her personal choice, but I’m loving the look! 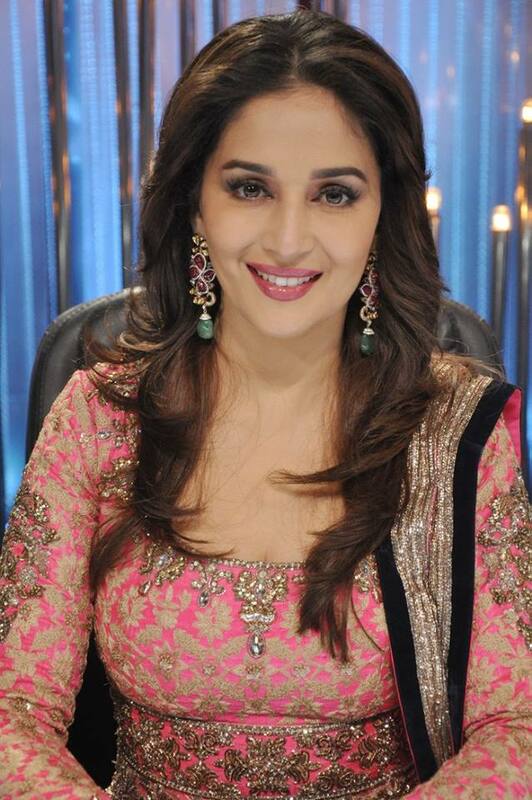 Haven’t we all looked at Madhuri for inspiration at some point or other? She manages to get it right almost all the time ! Love her, shez a diva! Love the post! !Peppermint Diva retails at AZA and Fuel in Bombay, my SIL wore a gorgeous Red,Blue & Gold lehenga from PD for my reception. I met Arpita while looking for my mehendi outfit (finally went with Masaba), she’s really good, but I found her a bit repetitive with the mirror work. I absolutely LOVE Nikasha ( I wish she was in Bombay!!) & Shehla Khan. Thanks for the info on PD! And I love Arpita, Nikasha and Shehla Khan’s work as well! 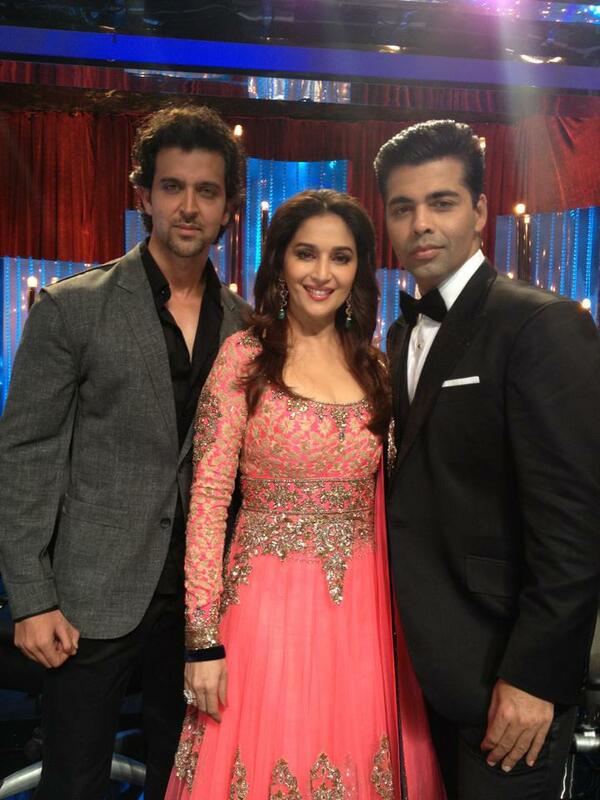 Maybe that’s another reason why I loved what Madhuri wore so much, because she wore so many of my favourite designers! I really liked the coral anarkali (#1) and the fuchsia saree with green blouse (#10). I think more than her clothes, it’s the accessories (the earrings and the bracelets) than stand out and complete the look. And her make-up is pretty much perfect! These sure are gorgeous outfits. But are you sure they are from her trousseau? They look recent creations to me. Wasn’t she married way back? Hi Sara, these are not from her trousseau obviously 🙂 I just used that word because it’s an inspiration for a bride’s trousseau. You can pick up the antique silver half-moon earrings from Aquamarine. They have EXACTLY the same thing, lovelier than in the pictures! Really? Where is the store located? I just love all her outfits!! Simply beautiful!! Im looking pink anarkali suit wear can i buy? Previous article TDB in HT Brunch & Femina Brides!